Home / What?! I finished the book! Oh my! It’s finished. I’ve been promising this for such a long time. 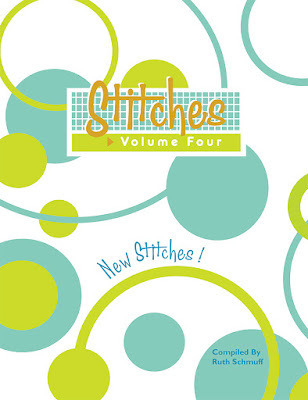 Stitches Volume Four is available for pre-order! Volume Four is 340 pages of stitches lovingly diagrammed! New stitches! Diagonal Stitches, Straight Stitches, Laid Fillings, Blackwork Patterns, Crossed and Tied Stitches plus Decorative Stitches. There’s something for everyone in here. Some stitches are even shown in reverse so you can easily work both sides of an area in mirror images! I’ve even included the Lotus Pattern background from Bastet and the Leaves from Why Fit In. The book is available in two sizes. Both sizes have full-size diagrams for easy reading. There is the large book for those of you who have the 8.5 x 11 size of the original books and the new smaller 5.5 x 8.5 travel size which is so popular. Files are at the printer and I expect printed books in hand to ship out on April 18th. Order now and you will be the first to receive yours. Thanks for loving what I do. I do hope you'll consider developing the iStitches Vol 4 soon. I love having the first three books on my iPhone and Ipad. Thanks. Definitely want the app! Use the first 3 frequently. Oh, good! I like the fact that you've completed the volume. I Love the fact that I'm not the only one who wants the app. I'm downsizing – need the app. Besides, on my iPad, it's so easy to see all of the stitches! Hi there, just went to look for the apps on iTunes and it says none are there. Are they retired or ??? ?